Something arrived in the mail this morning that had me smiling more than anything I could have ever expected. It wasn’t a parcel, it wasn’t a letter and it wasn’t an invitation, it was however, a bank statement. Given my current circumstances though and the fact that I have not had a job in quite a few years, I must admit that bank statements don’t usually have that kind of affect on me. Today however, it wasn’t my usual bank statement that had arrived, but was instead a copy of the statement from my American account; the one which I had used to do all of my shopping while we were having the time of our lives on the other side of the world, just a few months ago. Just like that, in the middle of my normal, everyday life, a piece of paper had taken me back. Back to Vegas, back to Hawaii and back to every single tiny little memory in between. It was that exact moment that started me thinking, just how quickly we can forget something and just how quickly we can remember again. Just how easy it was for one tiny little object to spark a flood of memories. Memories that were thought to be forgotten, yet just like that, every little detail was so clear in my mind again, that it felt as though I never really left. Today, a piece of paper with simple black and white words and numbers, managed to take me back to the most amazing holiday of my life. Back to the Las Vegas Strip, back to the Hawaiian beaches and back to a moment where time almost stood still. Today I was reminded that regardless of how much time may pass us by or how much of something we may think we have forgotten, there will always be something that can bring those memories back, be it only for a moment. You see, memories are never really completely lost. They may disappear for a while and we may assume that they are forgotten, but they’re merely just standing by waiting for an opportunity to reappear. 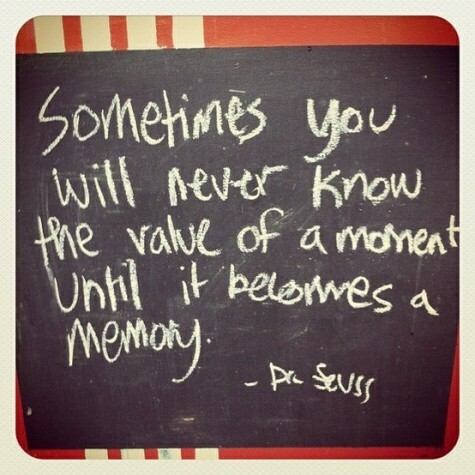 Memories are something that can never be taken away from us, nor can they be replaced. In fact, they are quite possibly the only thing in this world that has the potential to last forever. Although our feelings, like the weather, may be constantly changing, memories are one thing that will always, always remain the same.